I consider myself very fortunate, since my vocation and avocation go together so well. 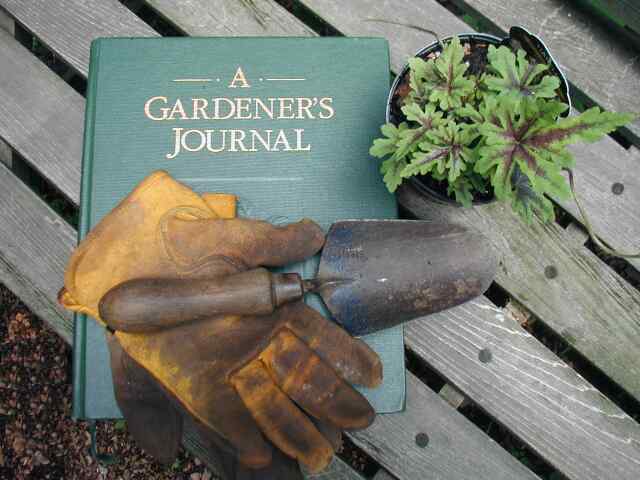 I love gardening, and enjoy writing and lecturing about plants and design. You are here at my web site and can take numerous virtual visits, accomanying me on garden tours, fascinating plant discussions, come foraging, mushrooming, make culinary explorations, and more. The seasonal appearance of flowers in my New Jersey garden and greenhouse make their appearance in the section on BelleWood in Bloom. For me, gardening is the never-ending story. For many years a popular instructor at The New York Botanical Garden, I taught - among other subjects - a required bulb identification course for School of Professional Horticulture students. As well, I taught at Cook College of Rutgers University in their Office of Continuing Professional Education. 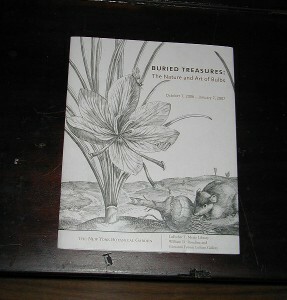 I curated the exhibition Buried Treasures, The Nature and Art of Bulbs at the gallery of the LuEsther T. Mertz Library of The New York Botanical Garden. It's Different Abroad:The Gardens of Holland, England and Ireland, and Japan: Smithsonian Institution, Washington, D.C.
My garden consultation services range from a simple consultation to site overview and garden design. My work addresses each individual's concerns: herbaceous border design, a focus on native plants, attracting birds and butterflies, a meditative garden - always with attention to year-round beauty in the garden, as well as subsequent maintenance requirements. I am pleased to work with enthusiastic gardeners looking for some guidance in plant selection, rearrangement of existing plants, scheduling of maintenance, as well as those who prefer someone else to do the work, supervising their landscape help. I can provide a writen report, help select plants at a nursery, supervise an installation crew, make return visits to ensure the garden is developing to its owner's delight. I consult for commercial commercial design / build firms, offering specialized guidance for designs incorporating native and exotic plants: plant selection and maintenance. I bring a diversity of interests, experience, and study to my work, from participation in an intensive seminar in Japanese Garden Art and Design in Kyoto, Japan; lectures and workshops on native North American plants; observations in gardens visited across the United States, in the UK, Holland, Japan. I write. Three of the eight garden books I have authored are about bulbs: The American Gardener's World of Bulbs published by Little, Brown and Company; Flowering Bulbs for Dummies published by IDG Books; and Bulbs for Garden Habitats published by Timber Press. Other books explore foliage as a foundation for garden design: Garden Design with Foliage published by Storey Publishing, and Consider the Leaf, another title published by Timber Press. My remaining books are Made for the Shade, Barrons Educational Series; Waterscaping, Storey Publishing; and Enhance Your Garden With Japanese Plants, Kodansha. 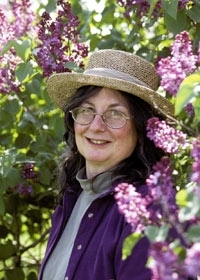 For several years I had a regular gardening column, Through the Garden Gate published by Acorn Press in Connecticut. It received the Garden Writers Association Award of Excellence. I've had over 100 magazine articles published in periodicals from Garden Design, Horticulture, Fine Gardening, Cottage Living, and Real Simple to Popular Mechanix, Arnoldia, and others. "If you think you know all about bulbs . . . think again. Veteran and neophyte gardeners alike are sure to benefit from the breadth and depth of knowledge and experience contained in Bulbs for Garden Habitats. In addition to familiar Dutch export bulbs, the author introduces us to a full range of native American bulbs, as well as South African and tropical species. Readers will be pleased to learn about the myriad hardy and tender bulbs for wet spots, and that a host of bulbs bloom in autumn, when most plants are shutting down for the season. Glattstein innovates further by placing bulbs in natural, complimentary associations based on what she calls "garden habitats." 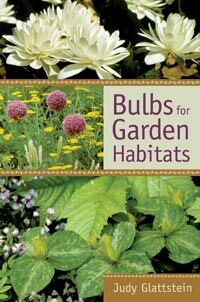 Though the chapter titles alternate between regional ("Bulbs for the Southeast") and habitat ("Bulbs for the Mediterranean Garden"), the message is clear: Choose the right bulbs for your climate, light, soil, and moisture. The excellent chapter, "Geophyte Care and Cultivation" thoroughly covers planting, aftercare, and propagation. Deer-resistant bulbs are amply discussed, as the author gardens on nine acres with a thriving deer herd. Appendices cover invasive bulbs, sources, and "Quick Picks," a set of short lists arranged by garden situations and ornamental attributes. Glattstein, a veteran gardener, skillfully instructs and educates in a friendly, accessible style. 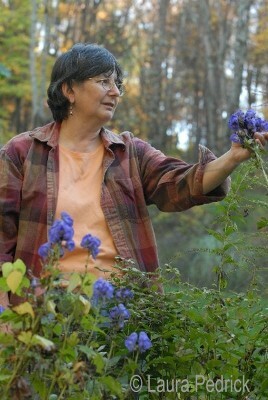 She weaves stories of her experiences into the narrative as well as those of gardeners around the world who love geophytes. Bulbs for Garden Habitats will inspire anyone who has an appreciation for beauty and a mind for ecology." "This is a different way of looking at garden planning . . .I used the book this spring when I redesigned my front herb and flower gardens, a task which was prompted by tree growth that had turned a formerly sunny garden into a shade garden. . . arranged by leaf shape and color, I found I had an attractive display even when there were no blooms going on. " "Whether ruffled, woolly, with a metallic sheen, or filigreed like lace, leaves are among the most significant elements to be considered when planning and planting visually exciting garden displays. Writing in an engaging style that should inspire gardeners regardless of skill level, Glattstein makes a case for thinking long and hard about using the foliage aspect of plants to best advantage, including an entire palette of perennials, trees, shrubs, vines, and tender annuals. With her eyes trained on the details, Glattstein reveals myriad ways of incorporating plants with interesting or unusual leaves, whether one is developing new areas of the garden or integrating plants into an existing scheme. Always stressing a well-considered overall design over the mere gathering together of odd or bizarre specimens, Glattstein shows her value as an instructor by explaining concepts clearly, suggesting appealing species and cultivars for diverse climates and conditions, and providing options enough to challenge budding designers while also giving the experienced green thumb plenty to think about, too. Alice Joyce"
"Much of the advice offered in the book is based on Glattstein's personal experience or that of her friends, colleagues, and acquaintances, so it has both the ring of authority and the charm of anecdote. The book is rich with examples of visually arresting leafy plant combinations, and information is given about each plant's growth habit and overall size; its leaf color, shape, and texture; as well as tidbits on care. 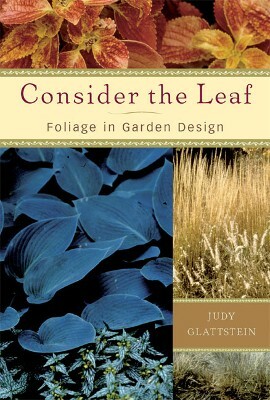 Readers of Consider the Leaf will find themselves well armed with information and ideas for using foliage as an effective and critical design element in their garden." Ireland, England, Holland, and on the Delta Queen Mississippi river boat cruises. I hope you enjoyed this visit to BelleWood Gardens. Come again. There's always something new, through the (virtual) garden gate.